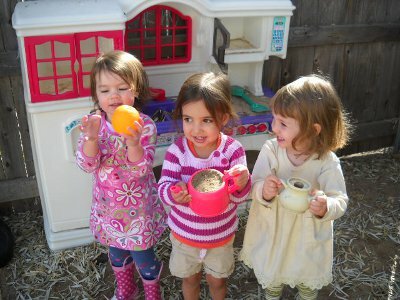 JECEI's founders and practitioners believe that among all forms of Jewish education, Jewish early childhood education (ECE) holds one of the greatest potentials for ensuring the long-term viability of the Jewish community in North America. In our view, that potential can only be realized through a transformation approach to Jewish ECE that brings together both the stakeholders who are impacted by and who are trying to implement the change so that they can jointly and effective create and execute a compelling vision. With that in mind, JECEI created a change model that outlines the participation and collaboration required from all of the stakeholders to implement the shifts in vision, culture and protocols of the host organization (e.g. synagogue, schools, JCCs), the families, educators and relevant local Jewish organizations. JECEI's community change model includes innovative and customized family engagement options , that begin with the joint efforts of educators and parents. With ongoing participation, JECEI families have tended to take on more leadership roles in designing the educational options for their children and in reaching out to other families. In turn, the JECEI centers have taken the lead in connecting families to their communities' formal and informal educational providers, enabling those providers to attract more families with young Jewish children. This comprehensive approach provides families with rich Jewish learning that reaches them on both and intellectual and emotional level, and makes them feel that they are part of a community. The Leadership Team: the umbrella team that coordinates and structures collaborative thinking and shared decision making between the director and the educators. These teams absorb and leverage the combined input of members, whose shared leadership promotes a culture of continuous learning.